Venture under the waves with Ariel, Flounder and Sebastian, with Disney's glorious music! 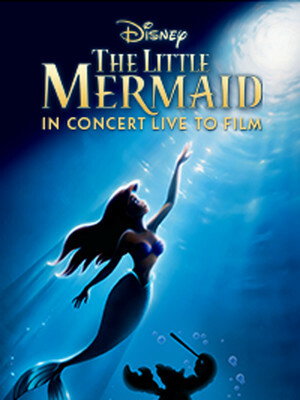 Why See The Little Mermaid With Live Orchestra - Michael Kosarin? come and be part of her world! The Hollywood Bowl is set to become a Dive-In theater as a star-studded cast come together for an epic 30th-anniversary celebration of the beloved tale of the feisty mermaid and her adventures! With Lea Michelle as Ariel, Harvey Fierstein as Ursula, Cheech Marvin as Chef Louis, Ken Page as Sebastian, Peter Gallager as Triton, Leo Gallo as Eric and composer Alan Menken himself, this immersive concert experience promises to be a wonderful evening for fans with a 71-piece orchestra providing Menken's unforgettable score, as conducted by Michael Kosarin. New for 2019 - the Bowl will be transformed into a full 'under the sea'-scape, with themed attractions, tie in performances and a mermaid themed costume contest! Join Ariel, a headstrong young mermaid princess as she follows her heart's desire to explore the world above the waves, much to the chagrin of her dad and friends Sebastian and Flounder. But beware, Ursula, the sea witch, who sees Ariel as her ticket to conquering the ocean! With the best-loved tunes "Under The Sea" and "Kiss The Girl"! Sound good to you? Share this page on social media and let your friends know about The Little Mermaid With Live Orchestra - Michael Kosarin at Hollywood Bowl. Please note: The term Hollywood Bowl and/or The Little Mermaid With Live Orchestra - Michael Kosarin as well as all associated graphics, logos, and/or other trademarks, tradenames or copyrights are the property of the Hollywood Bowl and/or The Little Mermaid With Live Orchestra - Michael Kosarin and are used herein for factual descriptive purposes only. 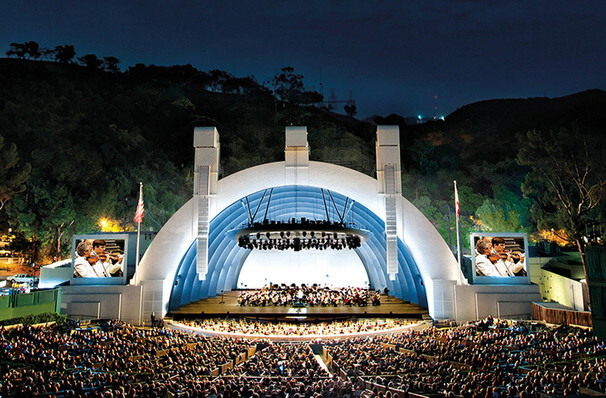 We are in no way associated with or authorized by the Hollywood Bowl and/or The Little Mermaid With Live Orchestra - Michael Kosarin and neither that entity nor any of its affiliates have licensed or endorsed us to sell tickets, goods and or services in conjunction with their events.